We are looking for all sorts of projects — from re-purposed goods and effective storage ideas to creative decorating and beautiful interior design — the sky is the limit! The winner will be notified via email during the first week of October 2015 with a list of gift card merchants to choose from. 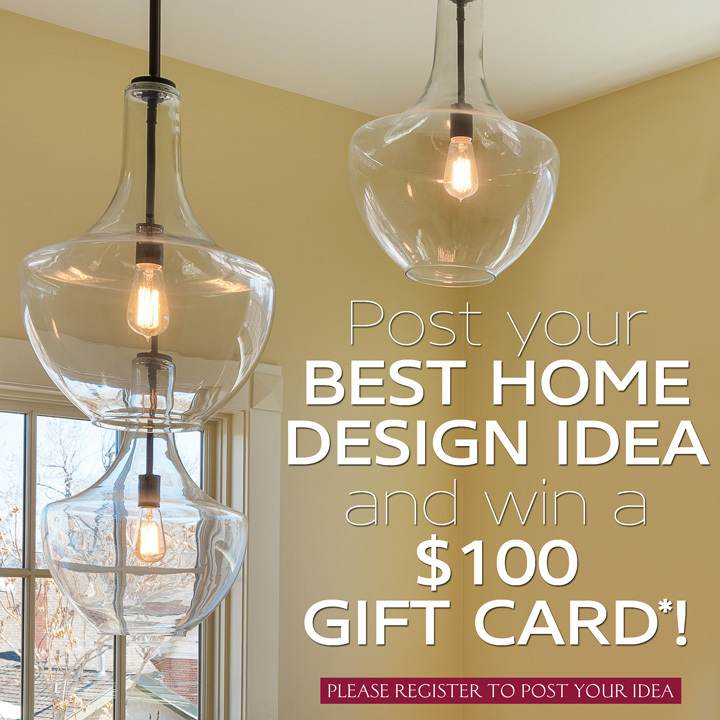 *Contest Rules: Register/login to the www.classichomeworks.com blog (right sidebar) and submit an original photo and brief description of your home design project. (Media from other sources will not be considered.) By entering the contest, you authorize Classic Homeworks to share your post on social media. Contest entries accepted through 11:59 pm, September 30, 2015. The winner will be notified by October 2, 2015 via email and a list of gift card merchants will be sent. The winner may select the merchant of their choice from the list and the gift card will be mailed to their physical address within 30 days. Good-luck!